Dawn of Steel - "Loving that I can directly control each of my units during battle - gives me loads of strategic options when raiding bases!" Command a powerful force of mechanized walkers and crush enemy bases in Dawn of Steel, an action-packed real-time strategy game. Your combat skills alone determine the outcome of the battle. Establish your base and defend it with all your might against attacks from other players. Use direct controls to command your units during combat, and organize your defenses to best exploit the enemy’s weaknesses. Intuitive swipe commands let you unleash powerful attacks from your Rigs with a flick of your finger. Dawn of Steel is the highly awaited first game from hot game studio Superweapon, a small team of veteran Command & Conquer developers. The race to conquer the planet Leviathan and mine the mysterious energy source Plasma is on! Take control of immensely powerful mechanized walkers called Rigs as you raid enemy bases, and claim their resources as your own. Gain the upper hand by customizing and upgrading your forces to suit your own style of play. Expand your control over the planet, as you unlock new territories to conquer. 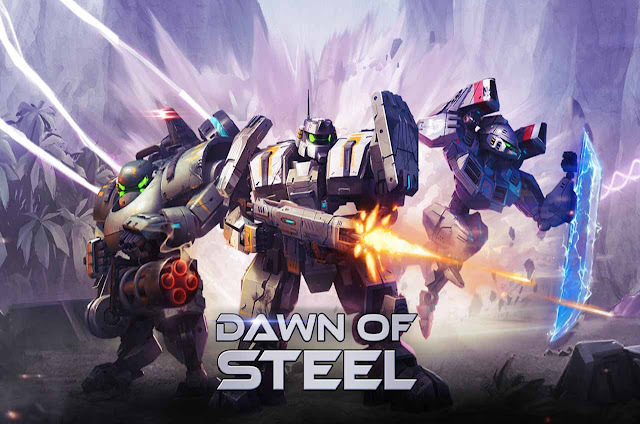 Download Dawn of Steel for free and play now! Dawn of Steel is free to download and play, however some game items can also be purchased for real money. If you don’t want to use these features, please disable in-app purchases in your Google Play settings. According to our Terms of Service, Dawn of Steel is allowed for download and play only for persons 13 years or more of age, or with explicit parental consent. Dawn of Steel: install APK and play the game.